Finally – spring has just started! As every year, you are well-equipped and full of knowledge to rush into your spring cleaning! But do you really know how long spring cleaning takes, which cleaning tool we never clean and how often you should clean your washing machine? The answers will surprise you and change your annual habits enormously. The sun brightens up our daily life – so we don’t want to spend more than two days on our spring cleaning. Unfortunately doing so, we won’t achieve what the real purpose of this event is: spring clean things that we overlooked during the past 12 months! Especially patience and diligence are much needed here. So plan room per room and not day by day: start with the kitchen, then go on to the bathroom, etc. Now you definitely won’t miss any hidden places! Gotcha! Who doesn’t think the more foam occurs, the better the cleanser works? That’s a mistake! Too much foam inhibits the fibers movement. Hence whether washing or wiping: loads of foam cause, that dirt can not be removed efficiently. Therefore, always keep attention to the recommended dosage – the environment will thank you! Warm, humid and in touch with leftovers: this sums up the perfect surrounding for bringing the sponge with its 10 millions germs to life. Mostly forgotten: the same conditions are on our mop! We wipe with one billion bacteria per ten square feet from room to room, but rarely clean the wiper itself. After every use, wash the removable cloth at 60 degrees. A fixed fringe wiper should be exchanged every two months. 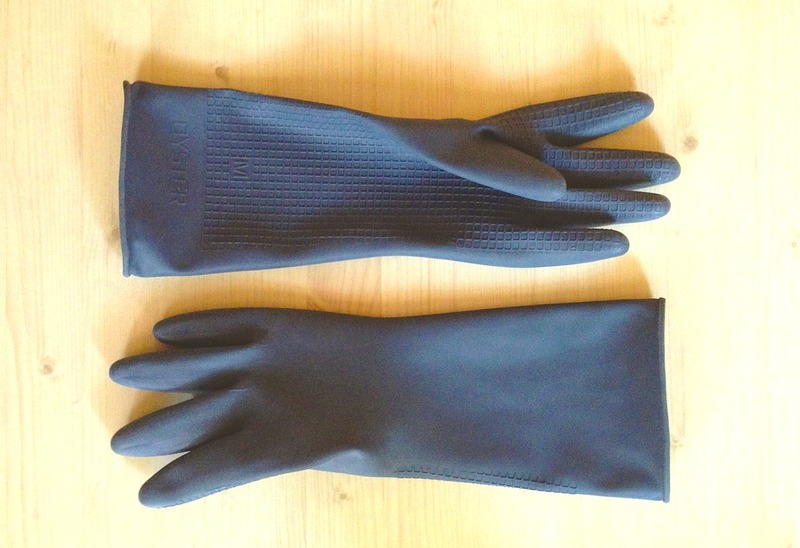 Deep-diving in dirty dishes or cleaning the toilet – never without our gloves. Be careful, it’s a trap! If we sweat or if some water enters the gloves, a moist environment develops, in which germs can multiply quickly. Sprinkle some flour into the gloves before using it – this absorbs moisture immediately. After the cleaning, turn them around and let them air-dry. After every washing, the drum is looking clean and fresh – but appearances are deceptive: moisture evaporates slowly changing the drum into a germ incubator. To avoid spreading bacteria and smell, give 50g baking soda into the drum and fill up the detergent drawer with 50ml of vinegar. A run with any clothes in it and the now lime-free drum smells fresh again! Now that these cleaning myths have been debunked, you’re ready to tackle spring cleaning. Remember, if you need some extra help with your spring cleaning you can always book a cleaner with Helpling!